Matt started at Puget Systems in 2002, helping his older brother and company president Jon Bach when the company was just getting started. Since then, Matt gas done it all; from building machines to installation and testing, quality control, shipping and repair. 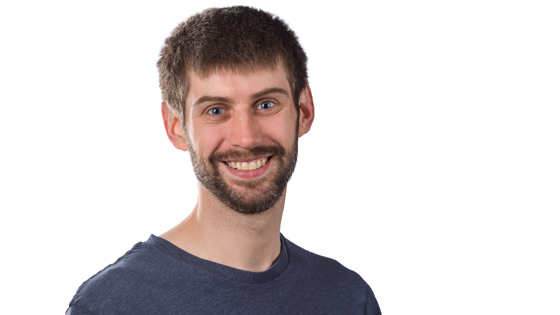 Since 2011, Matt has led Puget Labs, researching, testing and developing benchmark procedures for individual software packages to ensure we are recommending and selling exactly the right hardware components to our customers. Working as a hardware analyst, he researches, tests, and develops hardware solutions tailored specifically for content creation software packages. This is not limited just to hardware and software performance benchmarks, but also includes working closely with the professional community to ensure that our workstations properly address the real world pain points of users. Looks-wise, this case is decent; but the cooling performance isn't that great. The hard drive cooling is awesome, and the CPU cooling is pretty good as well, but there is no cooling for the video cards. Most cases have a fan in the front of the case, or on the side panel that blows air over the video cards. The TJ-07 doesn't have either, so there isn't any fresh air getting near the video cards. A single video card should be OK in this case, but if you are running SLI, I really recommend moving to a P180 or P190 if possible. I've taken this unit with me to a few tradeshows so I wanted to share some of my first-hand experiences with this mobile workstation. First, note that I call it a mobile workstation - not a laptop. Compared to what most people are used to in a laptop, this unit is big, heavy, has a massive power brick, and doesn't have anywhere near the battery life you would get with a lower power, thinner laptop. The fact that you can have very near desktop performance in a mobile platform is absolutely amazing, but the relatively short battery life (anywhere from 1-3 hours depending on what you are doing) and overall weight was definitely noticeable. With everything I had in the laptop bag (including the laptop, power brick, a mouse, pens, paper, snacks, and other miscellaneous items), I was carrying right around 14 pounds. So if you are traveling with this unit, be prepared to lug around that much weight. Second, the amount of heat that can be generated by this unit is relatively high. If you are doing light tasks such as email, word processing, or even watching a movie you can have it resting on your lap without your legs getting more than a little warm. If you start to do something more intense, however, you really need to have it sitting on a table or other surface. Not only does it get too hot to be comfortable, but having it on your lap blocks the fan vents on the bottom of the unit which really need to be clear to allow the laptop cooling to function effectively. For the screen, I found it to be bright and crisp and overall I liked the 4k resolution. However, I did have a few applications where the developer clearly didn't think about how things would look on a 15inch 4K screen. Mostly little huhthings such as a checkbox being small enough that it was tough to click on, but it was a bit annoying at times. The good news is that 4K is becoming more and more popular on laptops and mobile workstations so I expect these minor issues to be resolved over time. The nice thing is that 4K is actually an even ratio to standard 1080p so if you do have an application that doesn't work well with 4K you can reduce the screen resolution to 1080p without any weird stretching or blurring. One little surprise for me was that I actually found myself liking the keyboard. It's not up to the quality of a nice desktop keyboard, but given the size constraints it is relatively decent. I did find that I needed to adjust the PalmCheck sensitivity (which helps prevent the touchpad from moving or clicking while I was typing), but once I did that I had no issues typing out long documents. Of course, what makes a keyboard comfortable to use varies widely by user (what I like about it, you may hate), but I personally found the key spacing and overall feel to be much better than most other laptops I have used. In addition, the backlit keyboard was extremely useful in dim environments like on an airplane when the lights are off. I actually had it turned down to the minimum brightness level and I could clearly see all the keys without it blinding the person next to me. One tip I have is to change the color of the backlight from blue to white (which can be done through the FlexiKey software in the notification bar) which I found to be easier on my eyes and in general nicer to use. One last note I would make is that if you will be flying with this mobile workstation, you may not be able to charge the laptop through the power outlets on the seats. I've only tried with Alaska Airlines, but for me the power brick was pulling too much amperage so the outlet just shut off. I couldn't find any clear information on how much power those outlets are supposed to power, but from what I could find this is a relatively common problem with more powerful laptops. So if you are going to use this unit on a plane, you might consider getting a second battery. Overall, I would say that this laptop is definitely not for everyone. The downsides (primarily the weight, battery life, and thermal output) can be a major turn-off for many users and whether you like the keyboard and touchpad is going to be determined by your own personal preferences. If you can handle those downsides, however, the amount of power packed into this unit is really impressive. SSDs have excellent performance, but they are usually also a lot smaller than traditional hard drives. Something to keep in mind is that besides just your base operating installation, there are a few other OS-related files that tend to take up a lot of space on your drive (like the pagefile and hibernate file). These files are directly related to the amount of RAM you have installed in the system, so if you have a lot of RAM and are pressed for space, I recommend reading our Solid State Drives: Tips for Reducing Used Capacity article to help free up a bit of space. This is a great card as long as you are not planning on gaming at 4k resolutions. 3GB of video memory is more than enough for 1080p or even 1440p, but once you get to 4k many games will want to use more than 3GB of memory. This isn't true for every game, but its worth checking out some performance reviews online for the games you play to see how much video memory you should expect to need. If you do need more than 3GB, then either the AMD Radeon R9 290X 4GB (if you want the best performance) or the NVIDIA GTX Titan 6GB (if you value your ears) might be better choices. I really like using card readers to get data from digital cameras and other digital devices, but personally I would stick with a USB 2.0 card reader instead of a USB 3.0 one. The reason is that most motherboards do not have any spare USB 3.0 headers which means that you have to use a PCI-E USB 3.0 card in order to connect the card reader to the system. This performs great, but in addition to raising the cost it also adds another component to the system that can potentially have problems down the road. Even with how much testing we perform on components, the fewer things that are in your system, the less likely it is that something will eventually have problems. Of course, if you use a card reader everyday or need fast transfer speeds, USB 3.0 is still the way to go. But for the average home user, I would consider USB 2.0 speeds to be more than fast enough.